This 16-year-old C. japonica chance seedling first bloomed in 2008. It was originated, registered and propagated by Gabriel C. Olsen of Pensacola, Florida. 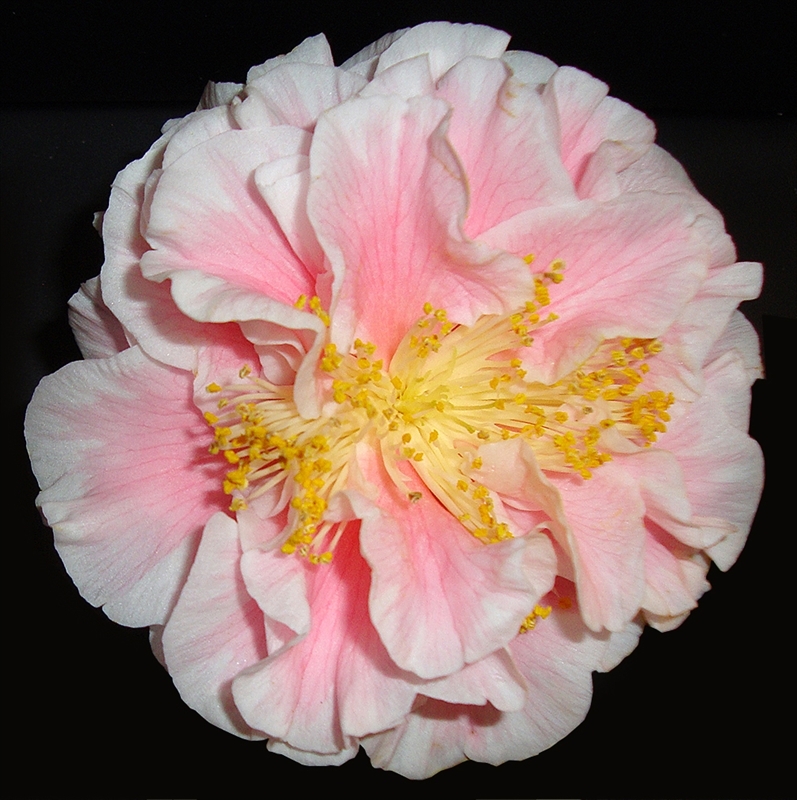 Bloom: The large sized 4” to 4.5” x 1.25” to 2” semidouble to loose peony form flower is white with light pink shading. It has yellow anthers and white filaments. The bloom falls in one piece with a consistent form. Plant: The plant habit is spreading and open. The growth rate is average. The plant is suitable for landscaping and exhibition uses. Leaf: The medium green leaves average 3.75” x 1.75” with low serration.